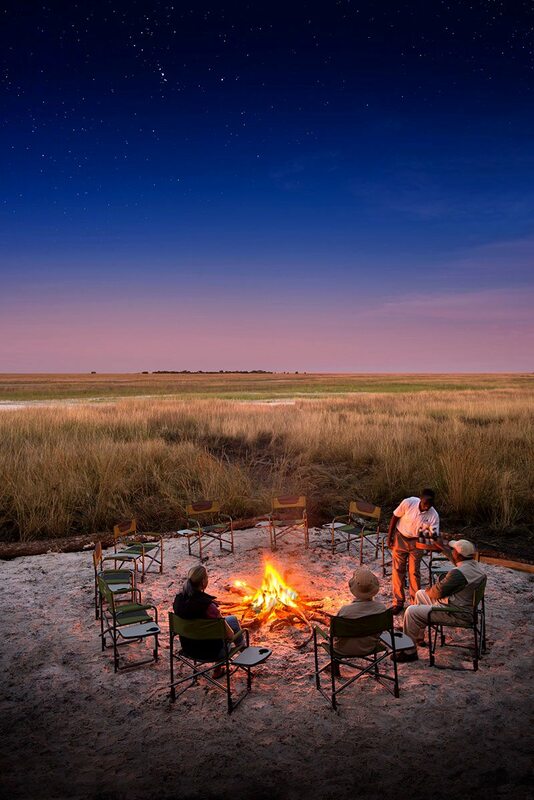 The first permanent camp in the wild and isolated Liuwa Plains National Park, King Lewanika Lodge is set on the upper Munde stream. 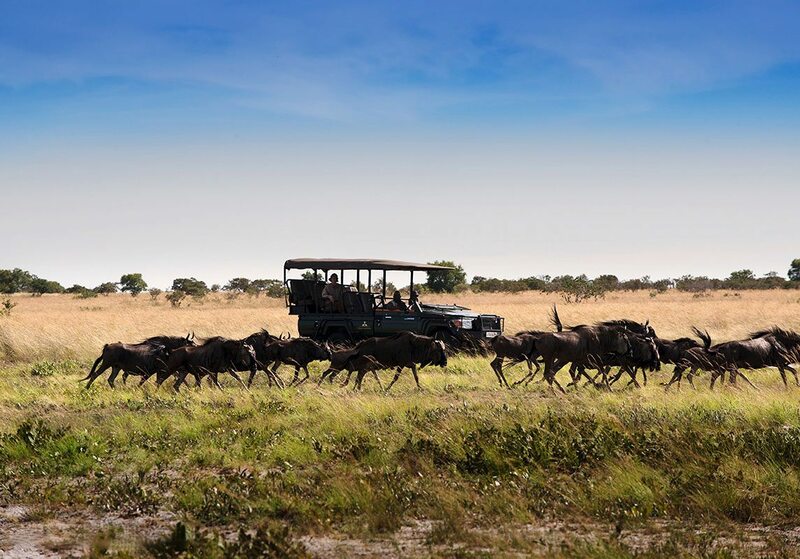 The luxury Zambia safari lodge has sweeping views into the grassy plains of the famous Liuwa lion, the second biggest wildebeest migration in Africa and hyena that hunt in 50-strong packs. 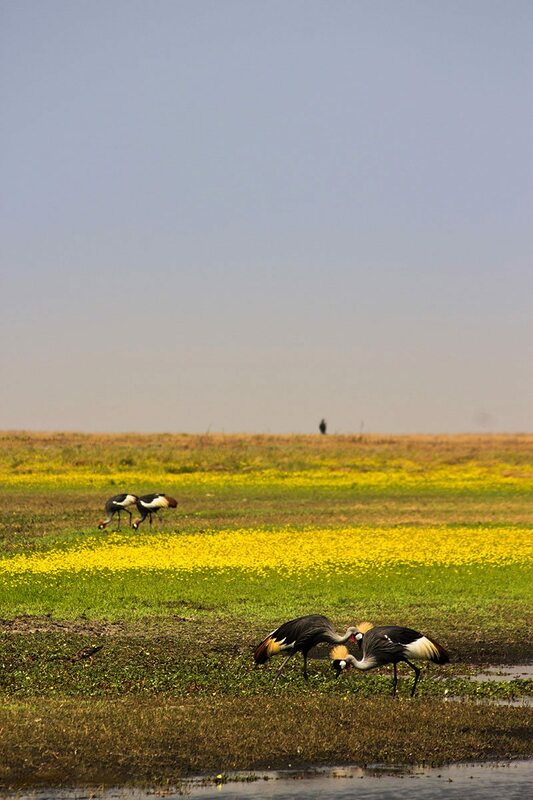 Liuwa Plain National Park was all but inaccessible before King Lewanika Lodge was set up permanently, with a nearby airstrip. 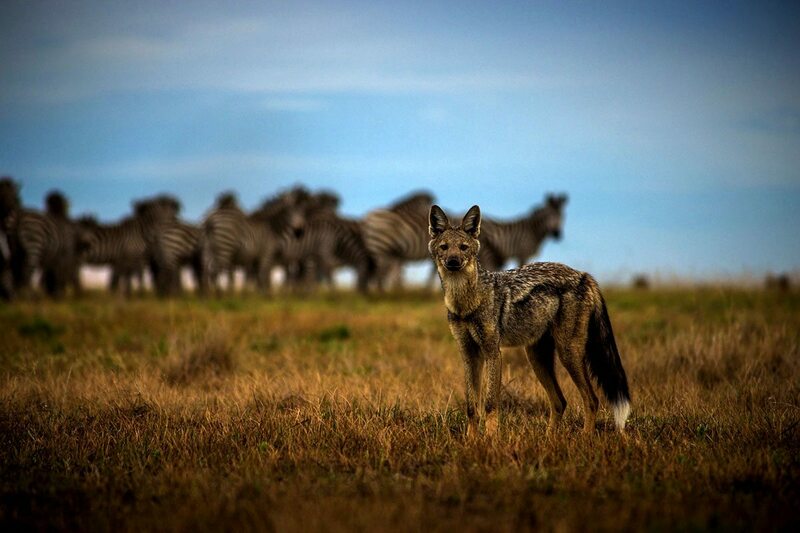 It offers the kind of wildlife encounters not found anywhere else, such as the second biggest blue wildebeest migration and hyena that hunt in packs of up to 50.As we stand on the airstrip, we breathe in the fresh air and grin, realising we’re in unchartered territory, a place that attracts only serious safari-goers. Driving towards the lodge, we see swathes of grasslands stretching to either side, punctuated by pristine woodlands.As we pass herds of grazing tssessebe, red lechwe and even the rarely seen roan antelope, we learn about the king after whom the lodge is named, who deemed Liuwa a protected area in the early 1880s.Arriving, we notice how the lodge pays tribute to this rich conservation history, mimicking the golden grasslands and vast blue skies of the Liuwa plains with an open and airy solar-powered design that’s sourced from sustainable grass, thatch and recycled materials. Liuwa Plain National Park was all but inaccessible before King Lewanika Lodge was set up permanently, with a nearby airstrip. 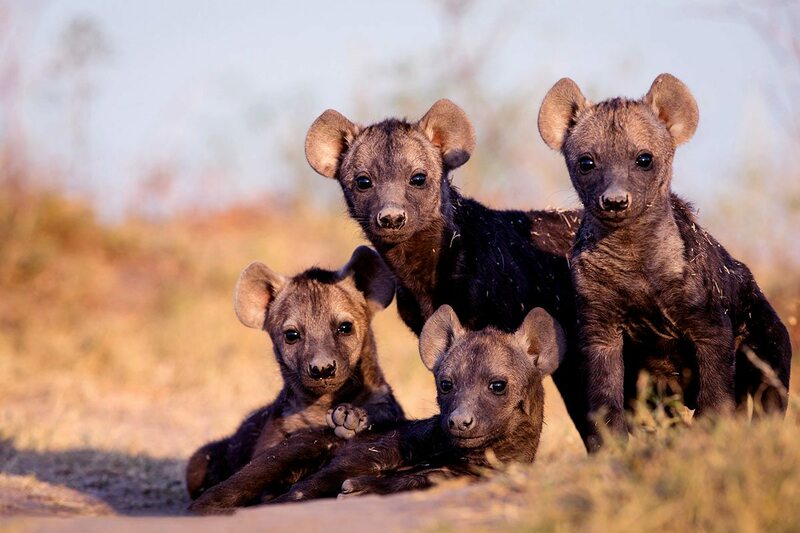 It offers the kind of wildlife encounters not found anywhere else, such as the second biggest blue wildebeest migration and hyena that hunt in packs of up to 50. As we stand on the airstrip, we breathe in the fresh air and grin, realising we’re in unchartered territory, a place that attracts only serious safari-goers. 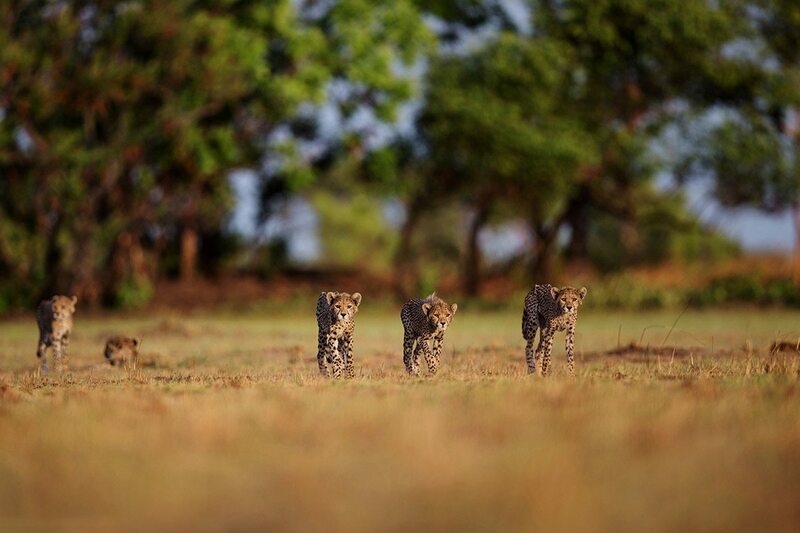 Driving towards the lodge, we see swathes of grasslands stretching to either side, punctuated by pristine woodlands. As we pass herds of grazing tssessebe, red lechwe and even the rarely seen roan antelope, we learn about the king after whom the lodge is named, who deemed Liuwa a protected area in the early 1880s. 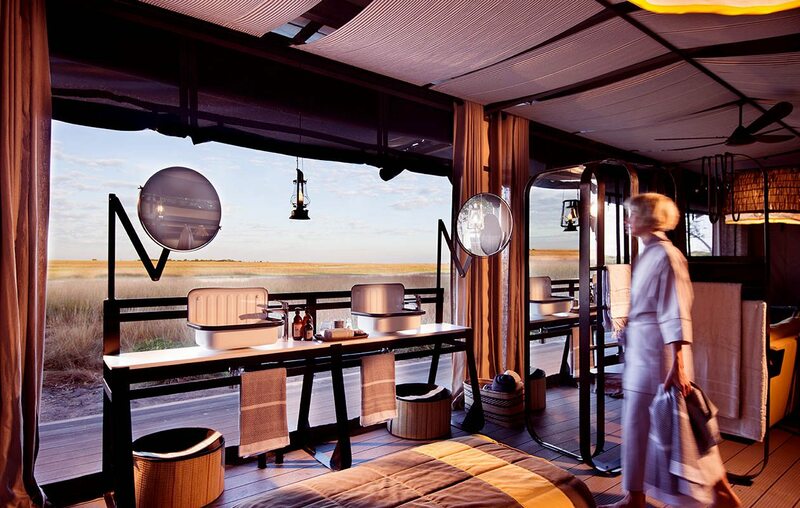 Arriving, we notice how the lodge pays tribute to this rich conservation history, mimicking the golden grasslands and vast blue skies of the Liuwa plains with an open and airy solar-powered design that’s sourced from sustainable grass, thatch and recycled materials. It doesn’t take long before we’re settled into our villa, which is inherently modern yet perfectly in tune with the sweeping vistas that surround us. 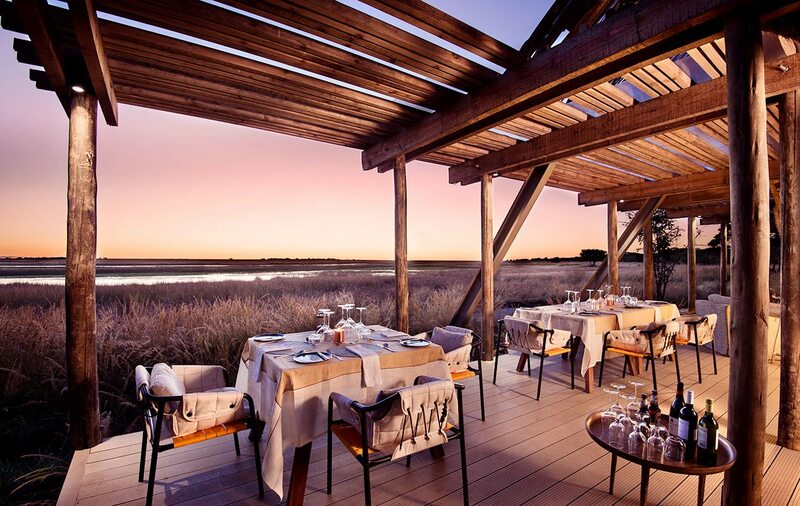 One of just six, it’s raised on a wooden platform with a private deck on the edge of the floodplain.Canvas and leather hint at old-world safaris, although the rooms are sleekly elegant. Each takes advantage of the same mesmerising vistas; whether I’m in the spacious bedroom, the lounge or the bathroom, I can enjoy prime wildlife viewing.While my partner takes advantage of the outdoor shower, I’m torn between reclining on the cushioned sofa, the wooden armchairs or the loungers. I grab a book and drape myself on the sofa, but there’s very little reading to be done with the distraction of life all around me; I can even hear the snap, rustle and crash of what could be an elephant feeding on the branches of nearby trees. It doesn’t take long before we’re settled into our villa, which is inherently modern yet perfectly in tune with the sweeping vistas that surround us. One of just six, it’s raised on a wooden platform with a private deck on the edge of the floodplain. 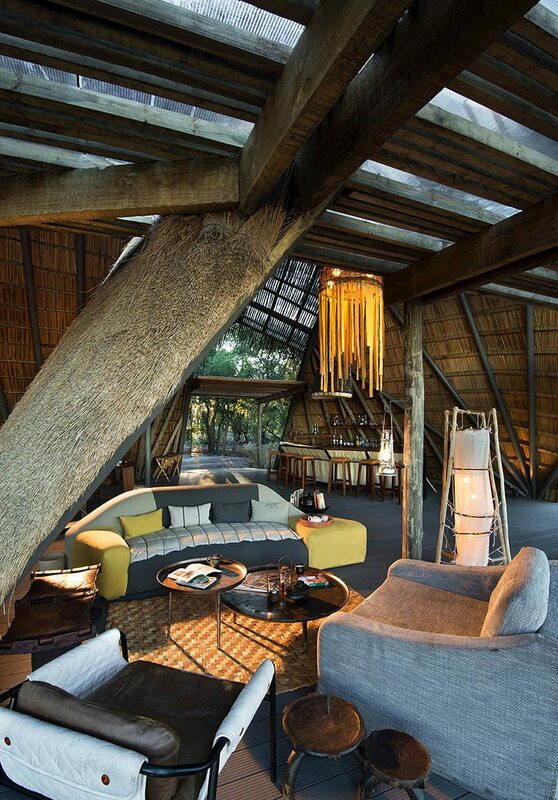 Canvas and leather hint at old-world safaris, although the rooms are sleekly elegant. Each takes advantage of the same mesmerising vistas; whether I’m in the spacious bedroom, the lounge or the bathroom, I can enjoy prime wildlife viewing. While my partner takes advantage of the outdoor shower, I’m torn between reclining on the cushioned sofa, the wooden armchairs or the loungers. I grab a book and drape myself on the sofa, but there’s very little reading to be done with the distraction of life all around me; I can even hear the snap, rustle and crash of what could be an elephant feeding on the branches of nearby trees. The biggest drawing card of King Lewanika Lodge is its splendid isolation. 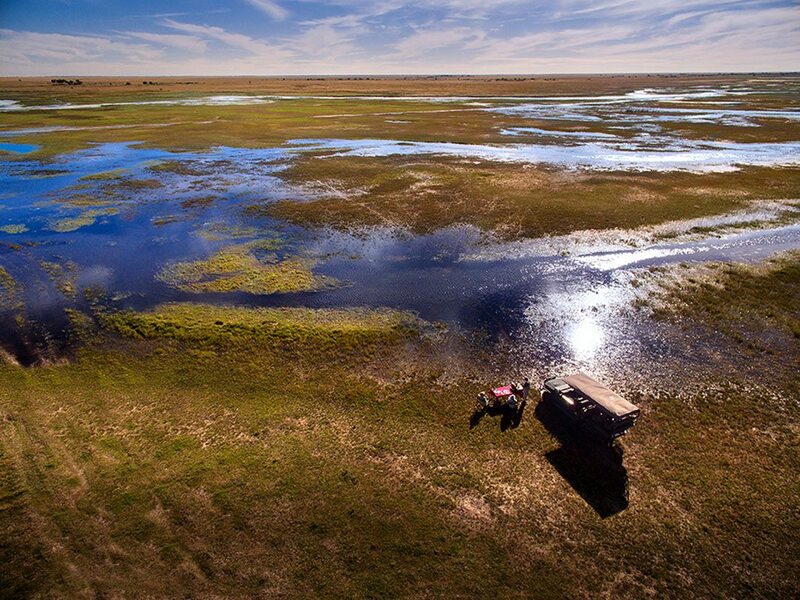 Here, you can go on intimate game drives and enjoy rare wildlife encounters without having to share with other vehicles.A definite highlight was seeing the throngs of wildebeest migrating through plains covered in a blanket of yellow flowers. We also came to know the famous Liuwa Lion – the one-time matriarch of whom, Lady Liuwa, was believed to embody the spirit of a local grandmother – and on a conservation drive with the Zambia Carnivore research team we learnt more about the challenges predators face.We’ll time our next visit to coincide with the ancient Kuomboka ceremony, when the Lozi king floats through the park on a barge to the pounding of drums, moving from his residence in the lowlands to his highland one, on the Eastern periphery of the floodplains. Perhaps we’ll even undertake a canoe safari of our own. The biggest drawing card of King Lewanika Lodge is its splendid isolation. Here, you can go on intimate game drives and enjoy rare wildlife encounters without having to share with other vehicles. A definite highlight was seeing the throngs of wildebeest migrating through plains covered in a blanket of yellow flowers. We also came to know the famous Liuwa Lion – the one-time matriarch of whom, Lady Liuwa, was believed to embody the spirit of a local grandmother – and on a conservation drive with the Zambia Carnivore research team we learnt more about the challenges predators face. 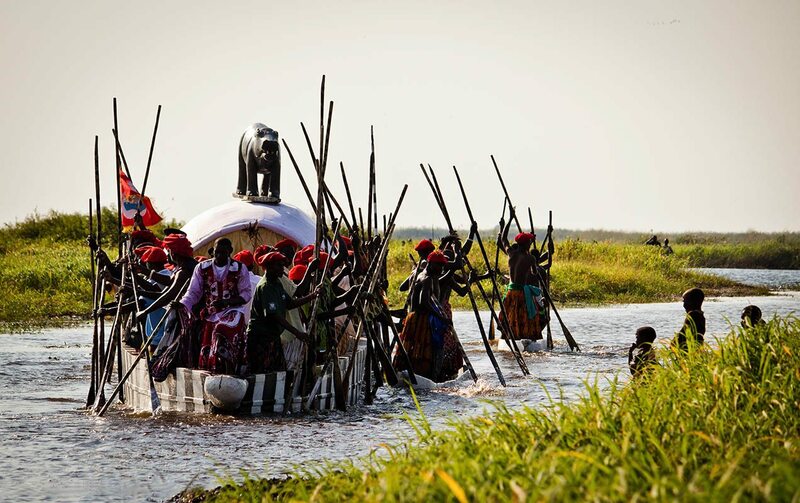 We’ll time our next visit to coincide with the ancient Kuomboka ceremony, when the Lozi king floats through the park on a barge to the pounding of drums, moving from his residence in the lowlands to his highland one, on the Eastern periphery of the floodplains. Perhaps we’ll even undertake a canoe safari of our own. 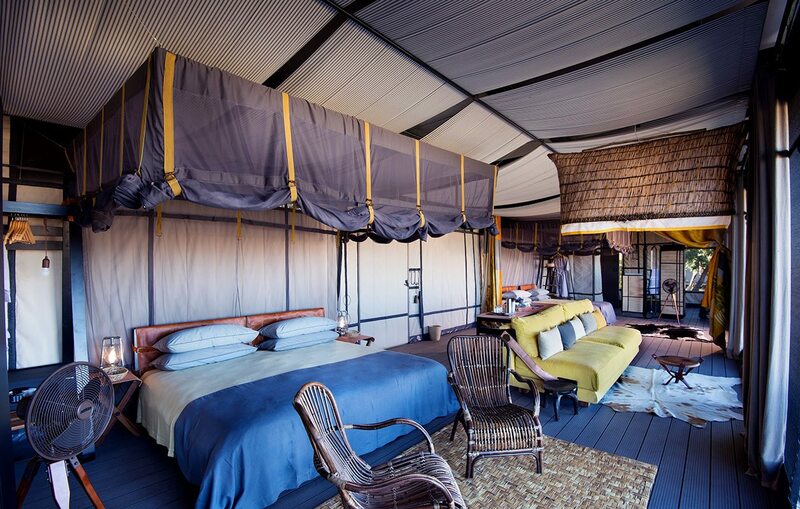 A tented camp in Liuwa Plains National Park with six luxury villas (including one two-bedroom family villa) with expansive views over the plains. 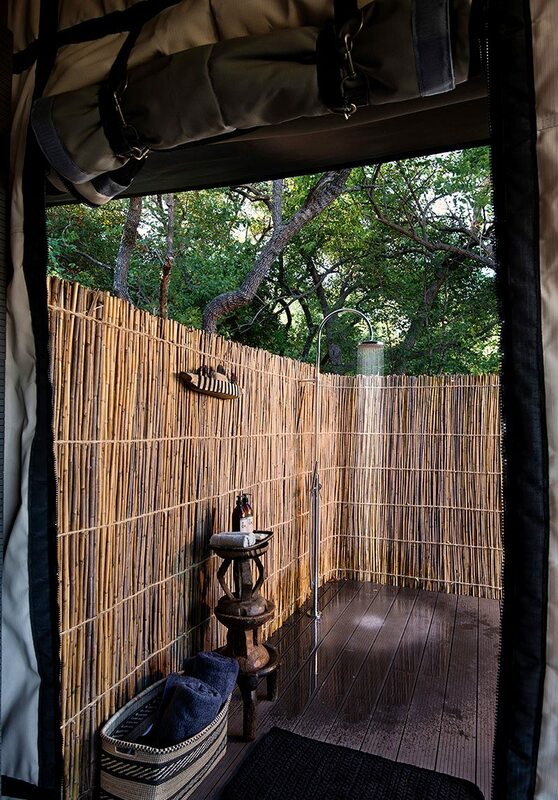 The only permanent tented camp in the park, newly built, on the path of the wildebeest migration and flexible schedules. 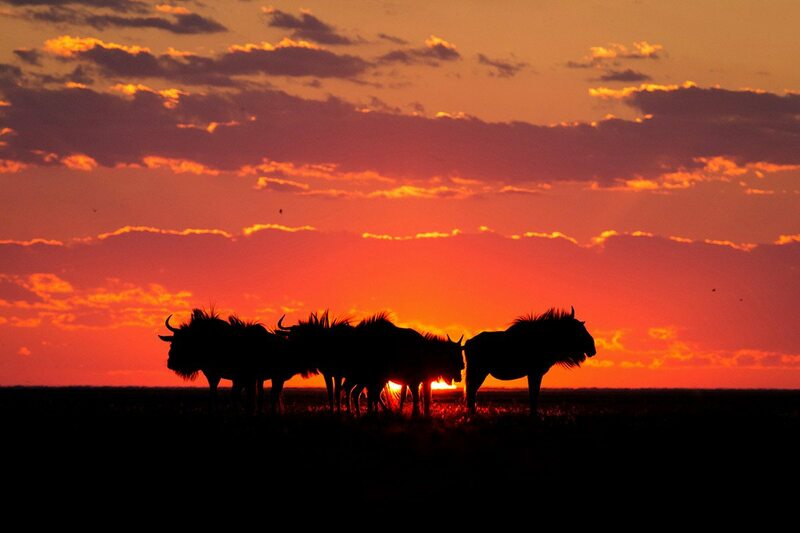 Game drives, night drives, walking safaris and seasonal canoeing and boating. Children welcome, with one family villa for up to three children. 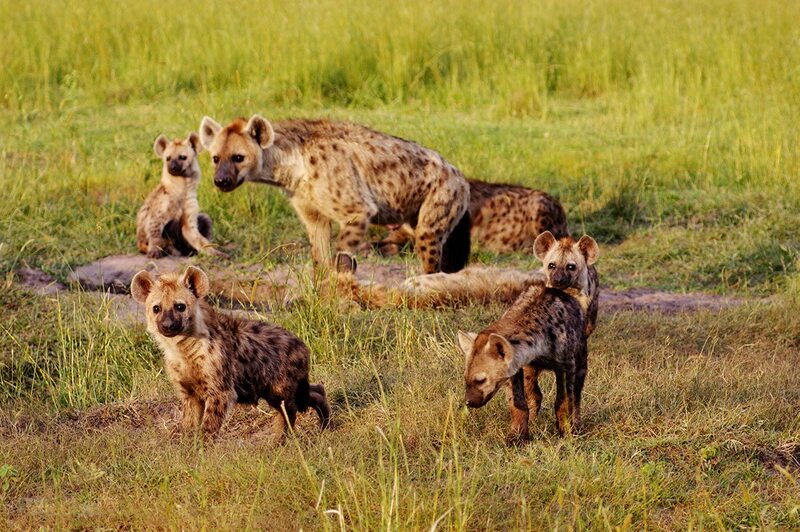 Walking safaris have a minimum age of 12, at guide’s discretion. 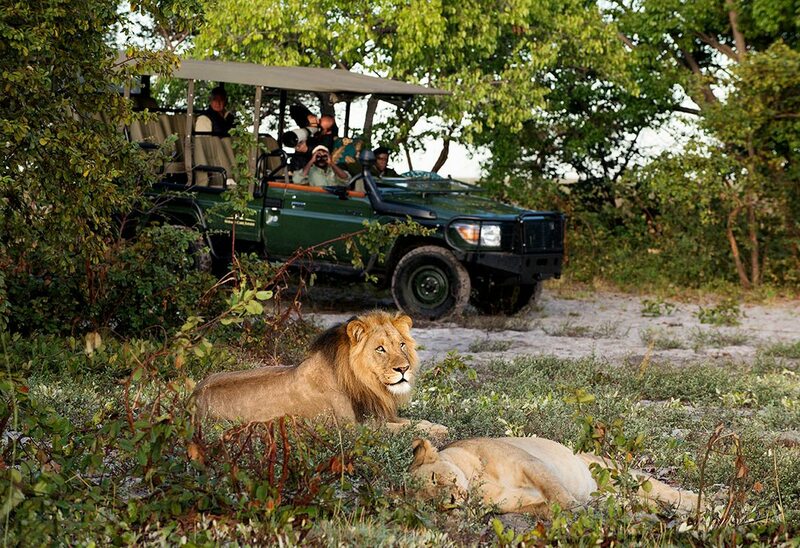 A private guide and vehicle is required for families with less than five people (additional cost). 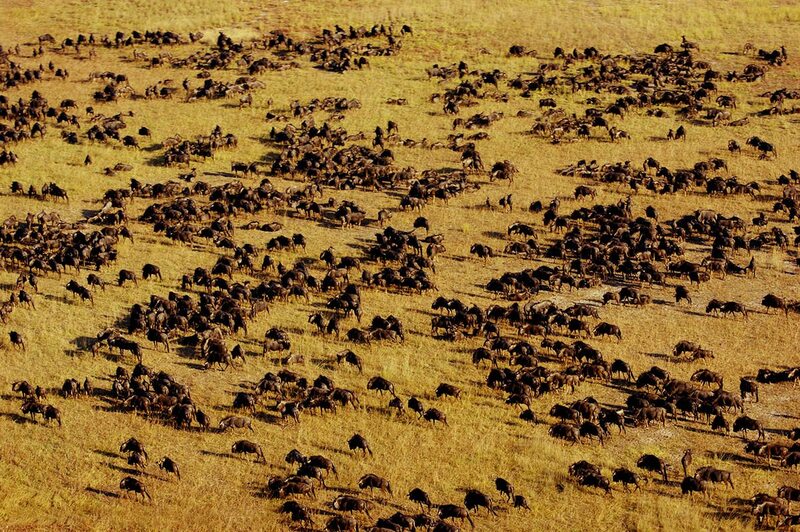 At the start of the dry winter season, around May or June, thousands of wildebeest move northwest. 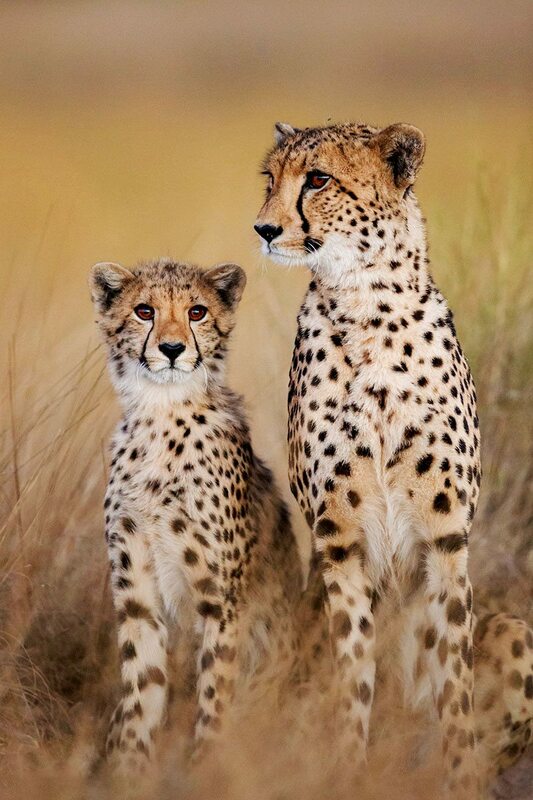 In the park, you can witness them crossing plains of waving gold, purple and pink flowers, before they enter the surrounding woodlands and Angola. They return southeast towards the end of winter, in September or October, in anticipation of the coming rains that govern their movements. 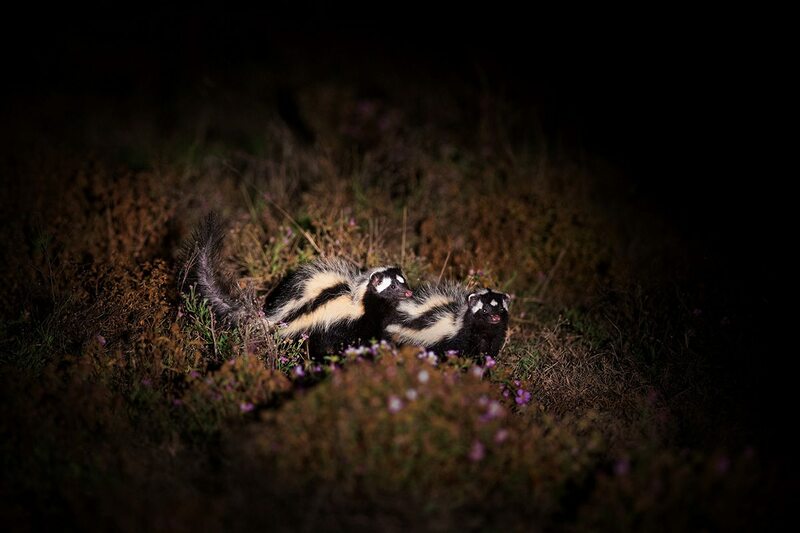 By this time, wildlife will be dependent on the few remaining sources of water, causing animals to become more concentrated (meaning potentially better viewing). The annual Kuomboka Festival takes place as the rains arrive. 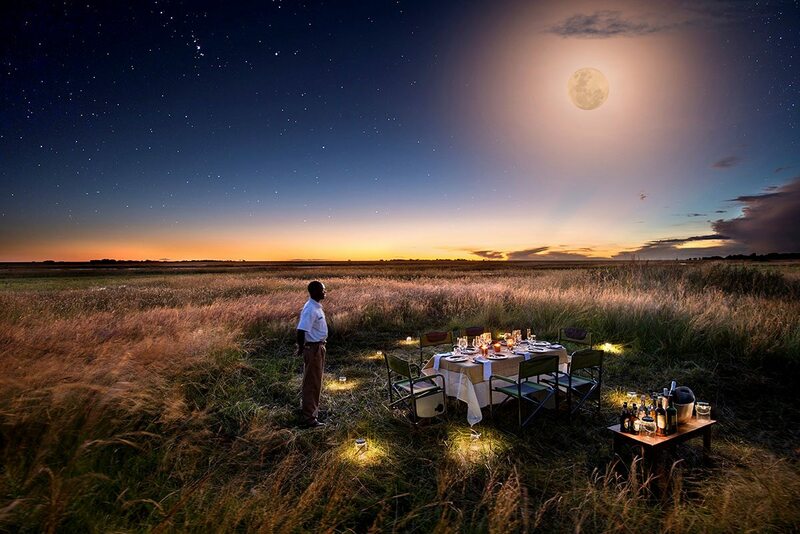 Liuwa Plains is something of an exception in Zambia, as having permanent lodges means that it can now be visited in the summer, green season. You can thus enjoy it at its most beautiful, watching wildlife running through shallow water and seeing dramatic electrical storms. Seasonal activities such as canoeing and boating expand your activity options, and the lush greenery soothes the eye. While other Zambia areas may be tricky to reach, a visit to Liuwa Plains now is wonderful paired with a stint in sunny South Africa.